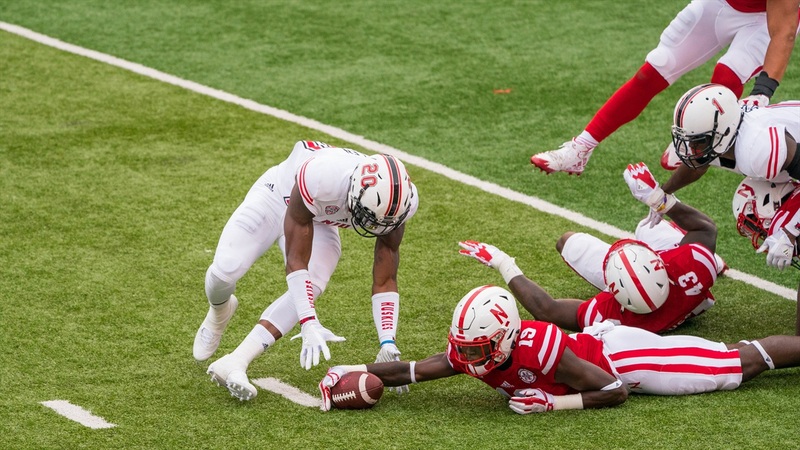 Nebraska defensive coordinator Bob Diaco said before the season that he planned to rotate plenty of players in and out on the defense this season, and through three weeks he has held true to his word. Nebraska has rotated liberally in the front seven in particular, giving young players like Khalil Davis, Deontre Thomas and Tyrin Ferguson a chance to see the field. Diaco said that rotation has two benefits for the defense, especially with the teams they’ve played so far. “The players can play harder, longer collectively … We’re playing a lot of offense that make you defend the whole width of the field and predominately have to do it with speed and tempo,” Diaco said. “Some of these plays have been turning over every 10, 12 seconds, so having to run to the right and to the left and to the right and to the left, for a guy that’s 310 pounds, that can get really taxing. It’s not your prototypical or standard kind of 3 yards and a cloud of dust running, rushing attack. It’s a lot of side-to-side running, so the big boys get tired and we have to make sure we get them out before they get tired and don’t produce. You can see in production on third down, you can see in production in the red zone evidence of players being ready to play in those situations and not being extremely gassed to a point that they can’t produce. Ferguson saw a bit more action on defense against Northern Illinois than he had previously, showing his speed on a solid tackle to limit the Huskies to a short gain. Ferguson also made a big impact on special teams, playing a hand in the fumble recovery of a muffed punt that helped spark Nebraska in the second half. Safeties and special teams coach Scott Booker said he loved the effort by the redshirt sophomore linebacker. Another player who made a significant impact off the bench is Khalil Davis, who had the best game of his young career wth two tackles for loss, half a sack, a pass break-up and a forced fumble. His brother Carlos, who starts at defensive end and finished with five tackles including one for loss, said he was happy to see his twin on the field. This week’s opponent, Rutgers (1-2) dropped its first two games to Washington and Eastern Michigan but rebounded last week by putting up 65 points against Morgan State. The Huskers will see a familiar face on the other side of the field as former Minnesota head coach Jerry Kill is serving as Rutgers’ offensive coordinator.